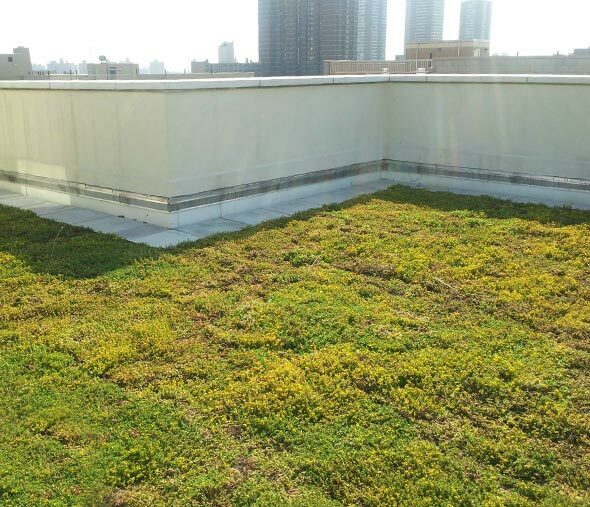 “Green” roofs today come in all shapes and colors. 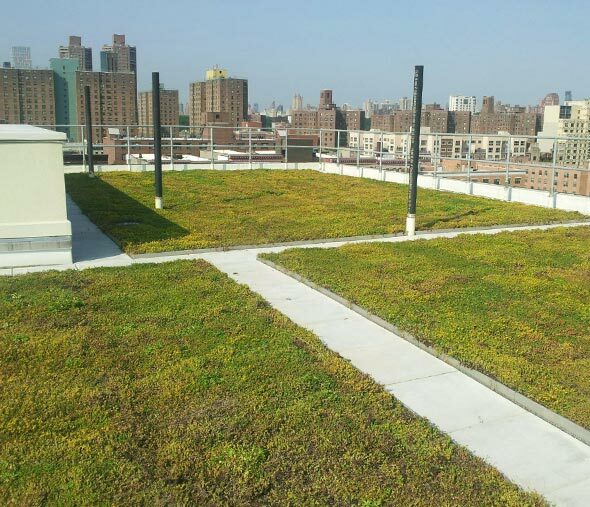 We have installed green roofs on 10 buildings to date. 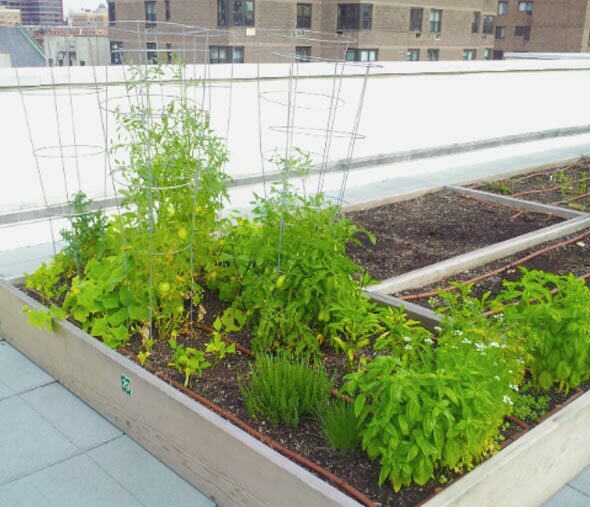 At our Lancaster Lexington development in East Harlem, we provided each apartment unit in the building with their own 30 square foot garden plot which allows the unit owners to grow their own fresh food (or other ornamental plants/flowers) just a few steps away from home. An automatic trickle irrigation system takes care of all the watering requirements in these gardens. 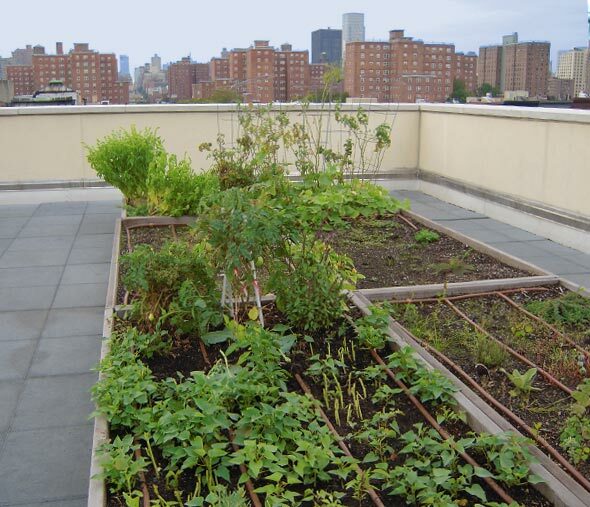 Other green roofs that we have installed incorporate a lower volume of soil, and are planted with indigenous, native hardy plant species that do not require any maintenance or watering. In both of these scenarios, the plants and soil bases help to retain rain/storm water which helps to lower the volume of water flowing into the already over-taxed municipal sewer systems. In addition, these roofs help to keep the roofs cooler during the summertime. Another form of “green” roofs relates to providing highly reflective white coating systems to standard, dark colored roofing systems. We have installed these coating systems upon most of our residential portfolio of buildings. The one building that did not get coated is covered by small, light colored stones.